Hey, are you wanting to spice things up this Summer? 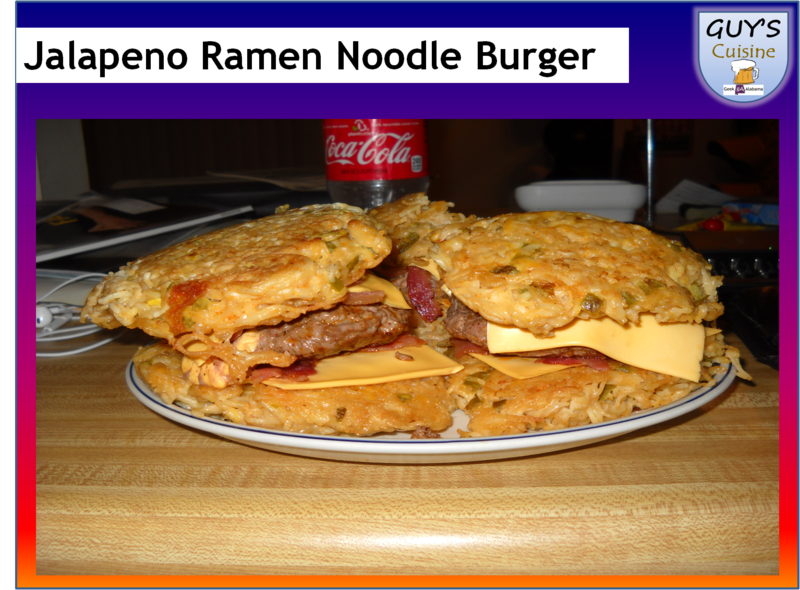 If you enjoy burgers and spicy food, than you might want to make the jalapeno ramen noodle burger! You can watch the video or presentation below, or follow the recipe below! 1. 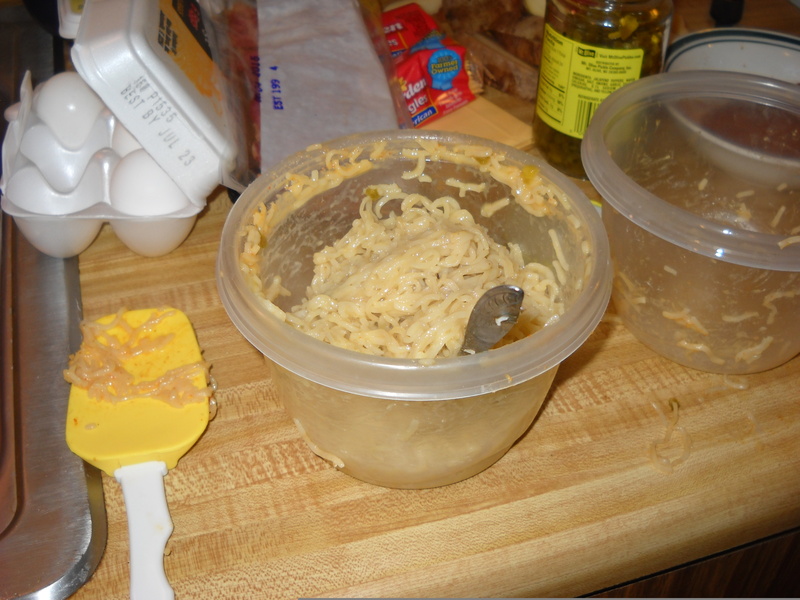 First, make your ramen noodle buns. 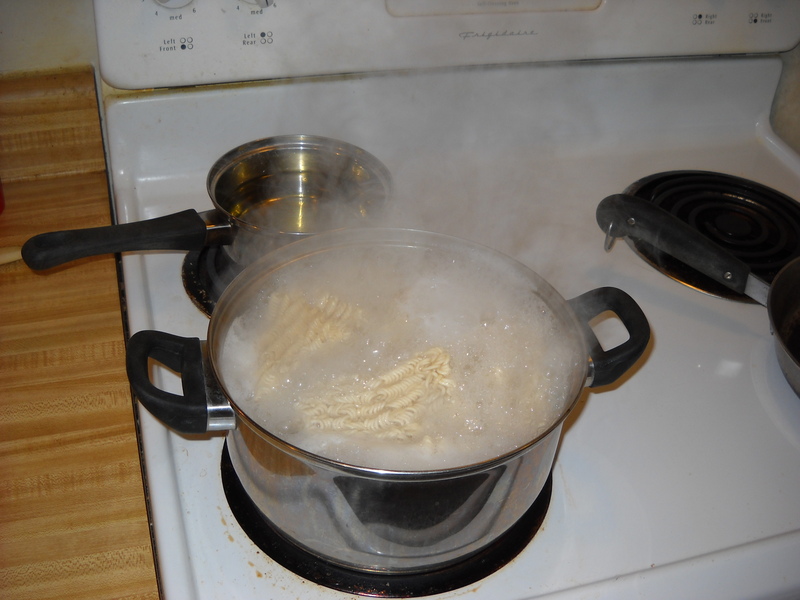 To make a top and bottom, boil two ramen noodle packets in boiling water for five minutes, then drain. 2. I am making three burgers. 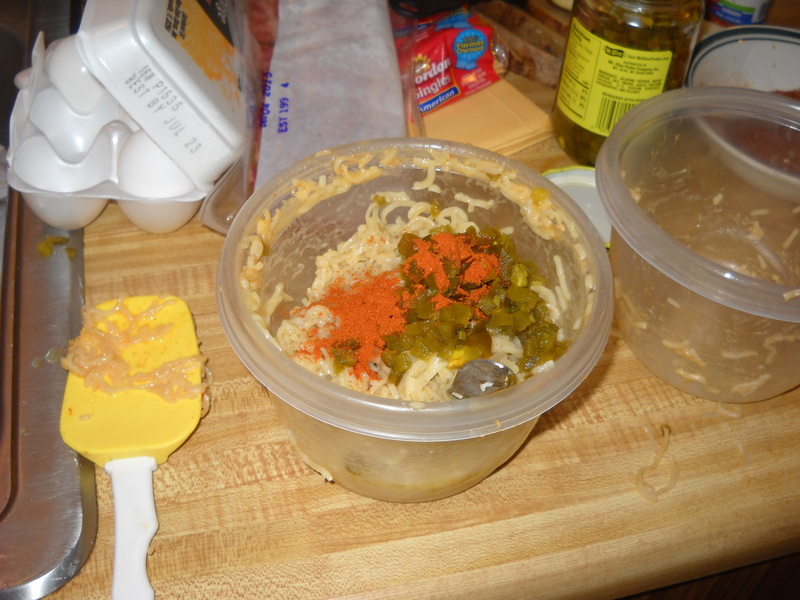 Take 1/3 of your boiled ramen noodles, add them to a cup, add one egg, ¼ cup chopped jalapeno’s, and ½ teaspoon cayenne pepper. 3. Mix well! 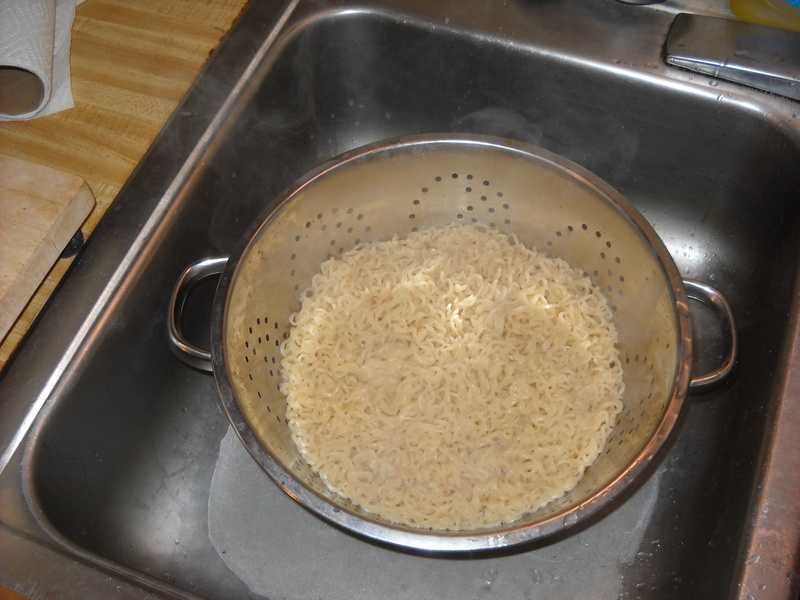 Then take half of the noodles. 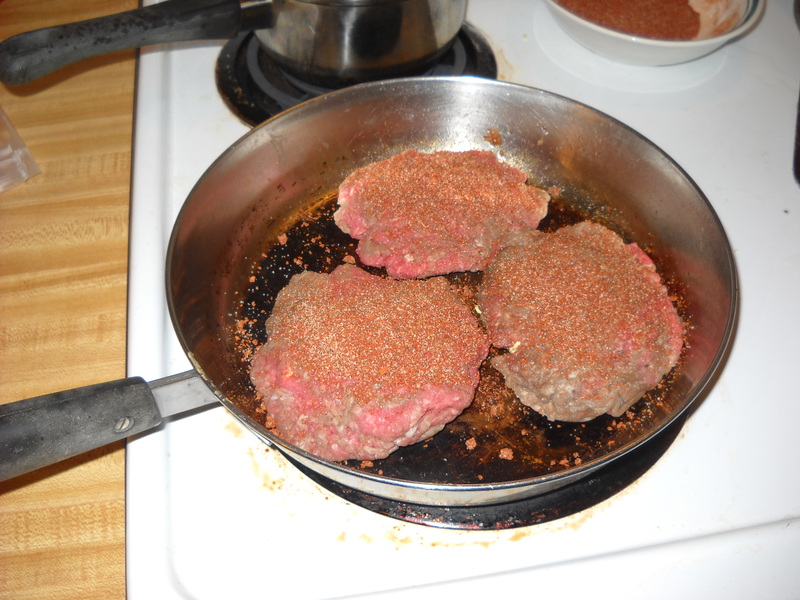 Squeeze them to form a patty, then place onto a hot skillet with some oil. 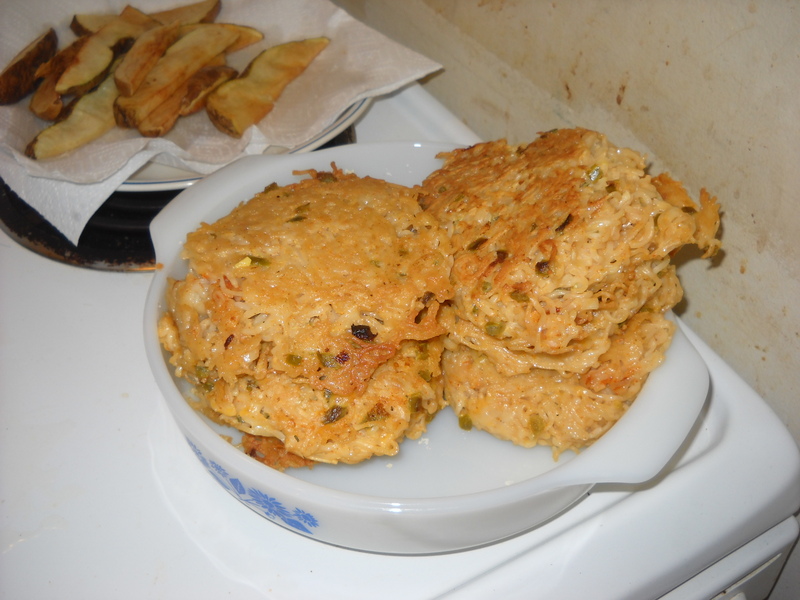 Use spatula to form into patty. 4. 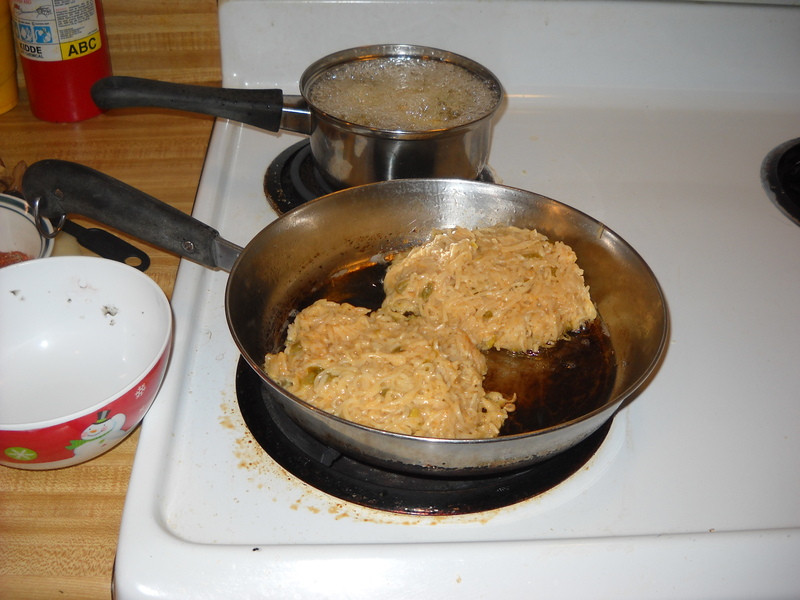 Fry the patties until golden brown on both sides, then set aside to rest. 5. 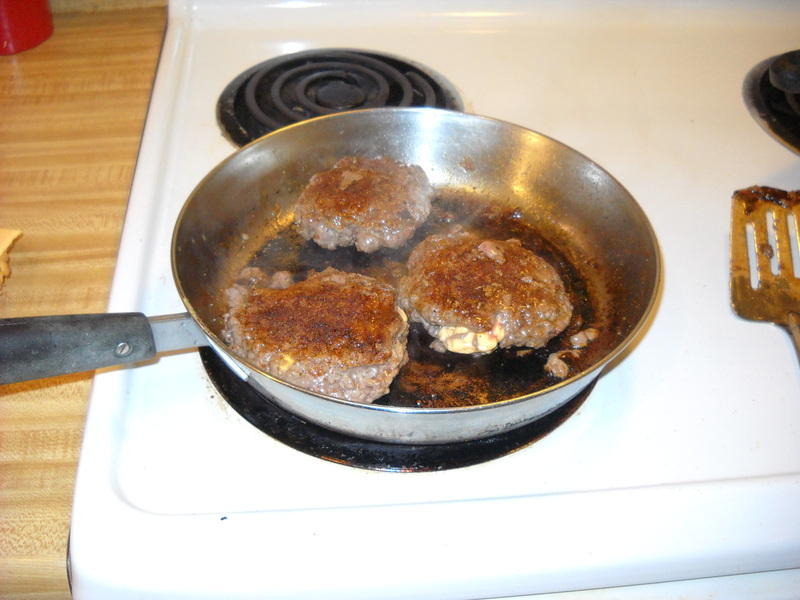 Use the seasoning mix, Fry up or grill your fresh burger patties until cooked! 6. Now assemble your burgers! Take one of the ramen noodle buns and place on bottom. 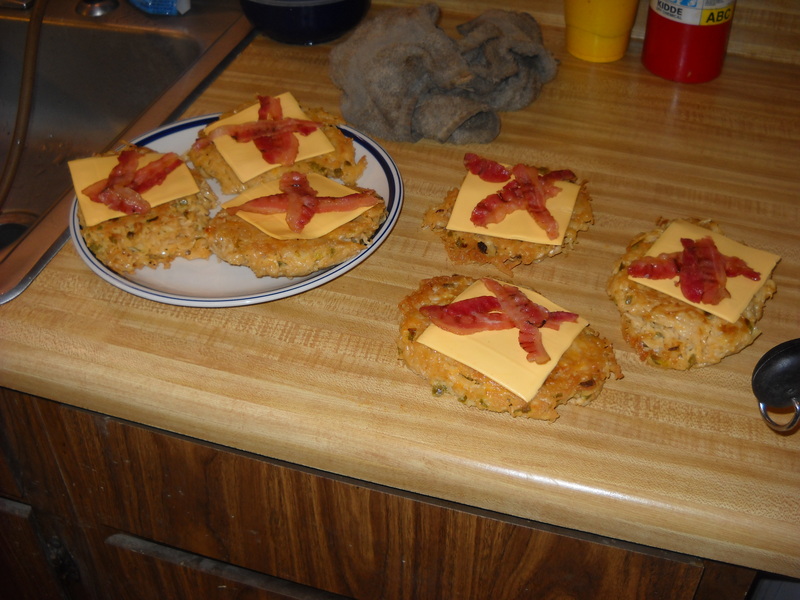 Take some cheese and bacon and place onto the buns. 7. 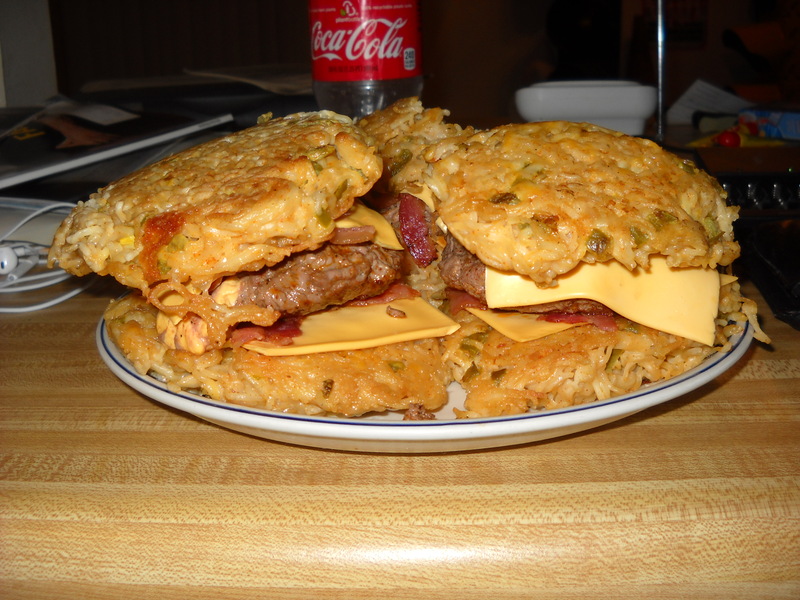 Place on a burger patty, then cheese and bacon, and top with another ramen noodle patty, that’s it!